The past few weeks have been crazy to say the least. Not only did I accept a new job, I’ve been spending just about every free minute I have studying for my upcoming professional engineering test. One month from now, I’ll be happily returning to my normal life, but until then, I’ll be reviewing everything I’ve ever learned about engineering! I love this time of year. The fresh crisp air that means it’s time for sweaters and boots, the colorful leaves, pumpkin spiced lattes, and of course, the smell of delicious fall desserts! 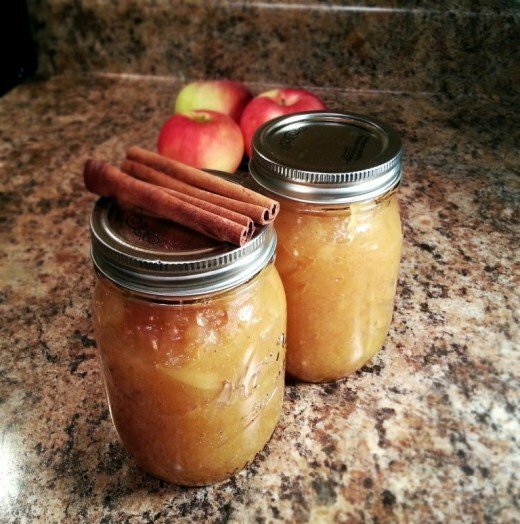 Apple pie is one of my go-to favorites, but in effort to save myself some time, I opted for an easier alternative for the time being – applesauce! Besides peeling the apples, homemade applesauce is incredibly easy to make! First, peel, core and roughly chop 6 cups of apples. Toss them into a large pot and add in 1 1/2 cups of water, 3/4 cup of sugar, 1/2 teaspoon of cinnamon and 1/4 teaspoon of nutmeg. 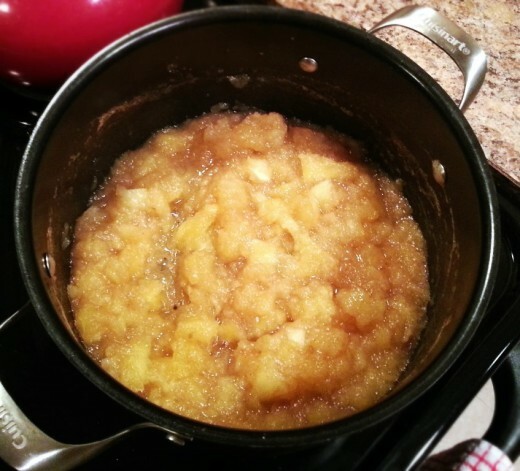 Bring the ingredients to a boil, then cook on medium to medium high until the apples are completely softened, about 30 minutes. 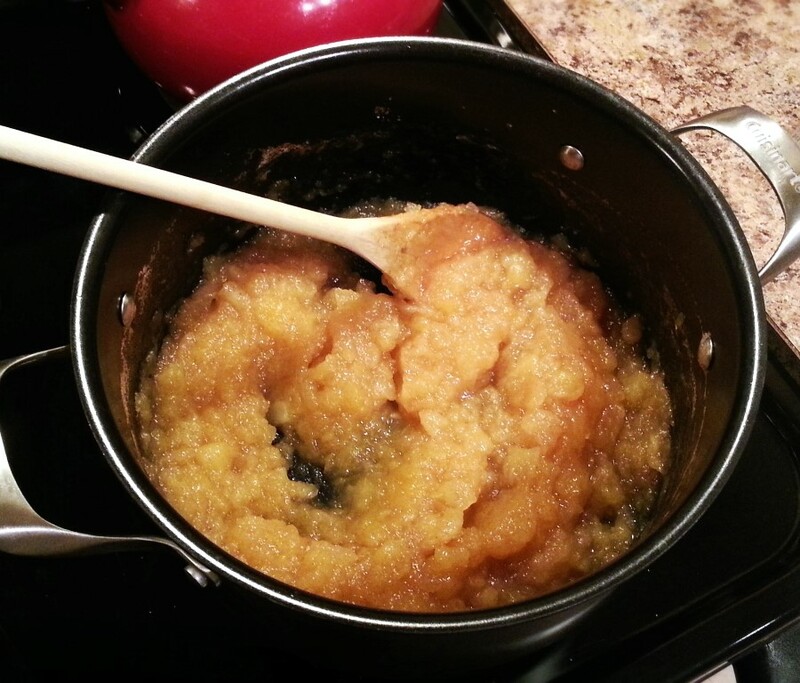 Using a spoon, stir the apples and lightly mash until the apples break down and the texture looks smooth. 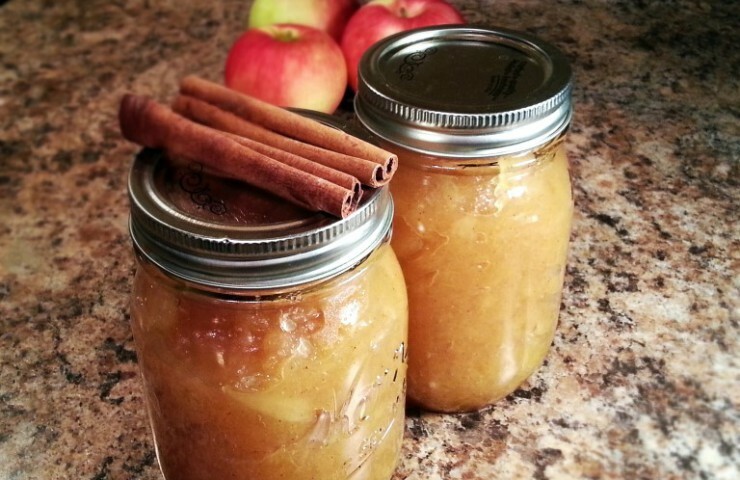 Remove from the heat and spoon the applesauce into mason jars. Seal and store in the fridge until ready to serve! This recipe yields about 4 cups and can be served hot or cold. Enjoy! Add the apples and remainder of ingredients to a large pot. 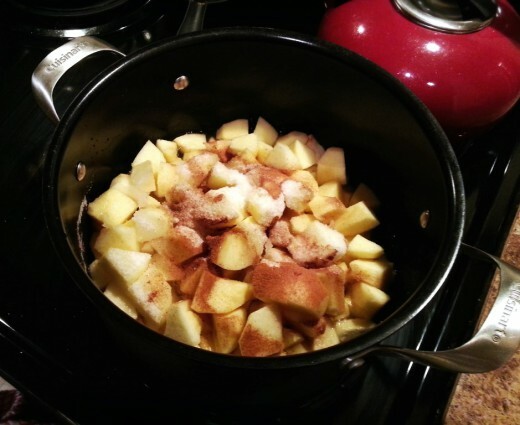 Bring to a boil, then cook over medium to medium high heat until the apples are completely softened, about 30 minutes. Stir and mash up apples until smooth. Remove from heat and store in mason jars in the fridge.